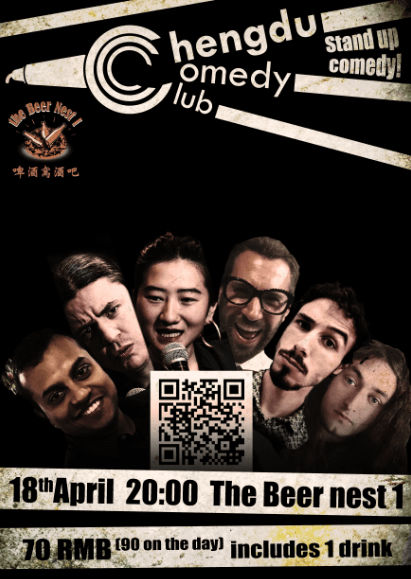 Chengdu comedy brings their unique variety of comedy styles to The Beer Nest 1 again. Come down as spring is in the air, the weather gets warmer, a few beers and laughs sounds good! Scan the QR code in the poster, or click here. 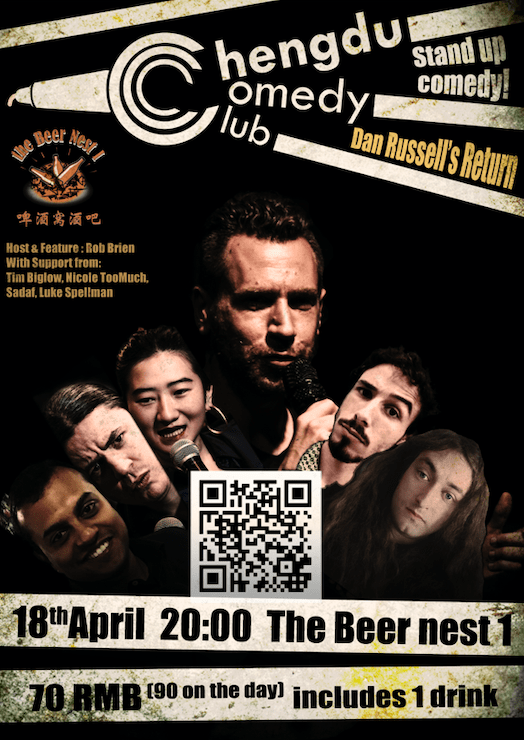 Dan Russell (Headliner) – From Boston USA, Dan was a regular performer in New York before moving over to China, Dan started his China stand up career in Chongqing, hence the nickname ‘Mr Comedy Chongqing’, now Chengdu based, he performs regularly in Shanghai and in other Chinese cities, often the feature act for international tours in Southwest China. 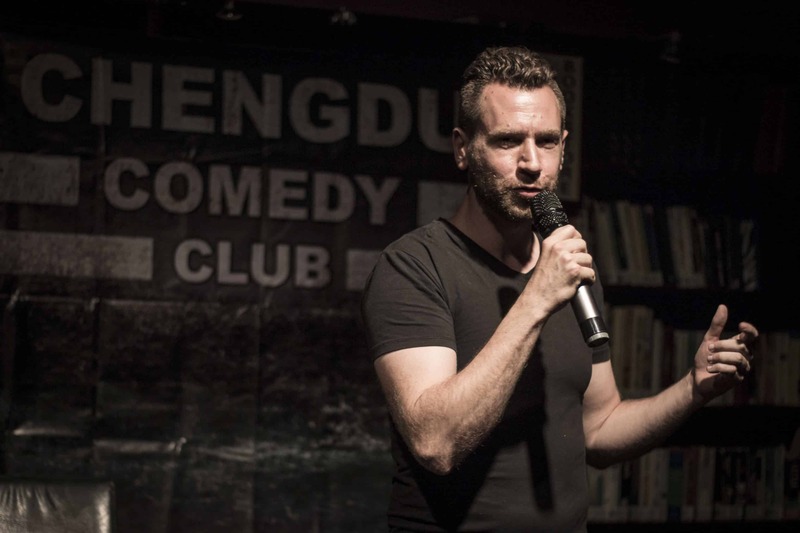 Rob Brien (Host and Feature) -Rob was the first person to ever perform English stand-up comedy in Chengdu in 2012, since then he has worked tirelessly to develop the comedy scene. He was the host of the Bookworm comedy open mics nights for the past 5 years, the MC for over 50 Kung Fu Komedy international headliner tour shows, and is the driving force behind the English stand-up comedy scene in southwest China. Luke Spellman: Yet another aspiring comic from Boston, Luke likes to draw inspiration from his liberal arts-filtered observations of society and culture. Tim Biglowe: A recent transplant after performing regularly as part of Stand-Up Hanoi (Vietnam), he has featured for Carey Marx and Greg Fleet and bought his solo show to the Edinburgh Festival Fringe in 2016. Nicole TooMuch: A native of Shenzhen, Nicole is a mainstay of the Chengdu comedy scene and regularly features for Kung Fu Komedy headliners and at Chengdu Comedy Club shows.